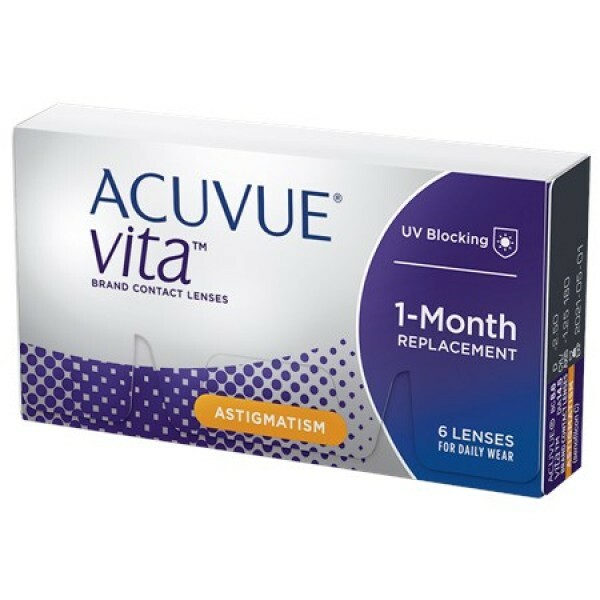 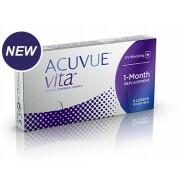 ACUVUE VITA FOR ASTIGMATISM with HydraMax Technology is monthly toric lens for patients who want a full month of comfortable wear from their lenses. It is a non-coated silicone hydrogel formulation balanced to help maximize and maintain hydration throughout the lens. It also features BLINK STABILIZED Design which functions with the natural eyelid movements to help keep the lens in the correct position even with head and eye movements.